Improve your possibilities of having less pain and stress. Is conventional migraine medication working for you (or not) but you still find yourself stressed out? Luckily this book can get you sorted. In Migraine Management, award winning author Holly Hazen gives you a step by step plan to help make painful major decisions from a place of inner peace. This technique will help you to make any subsequent decisions, big or small, in an easy self-guided fashion. With Migraine Management, the code to stress reduction can be cracked. Holly will help you create your own inner compass to reduce stress, manage pain and prevent attacks. Break free of feeling hopeless. By applying simple strategies, you can harness your own collective wisdom and step forward with confidence. 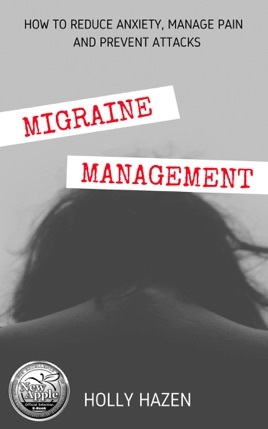 Are you ready to manage your migraines with confidence?